Jonathan Cronford is the founder of Manna Gum. The creation of Manna Gum is the culmination of the last ten years of Jonathan and his wife's life working and campaigning on development issues in Laos and Cambodia, working with the homeless and drug dependent in Melbourne, leading Bible study and exploring Christian expressions of responsible living in Footscray. Jonathan has a Ph.D in Political Economy/ International Development. 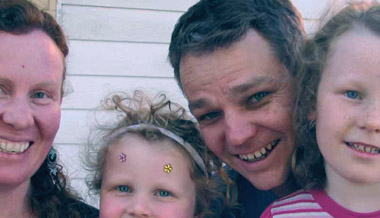 Jonathan and his wife Kim live in Footscray, Melbourne, with their two little girls, Amy and Mhairi. They are members of the Common Rule Christian network and attend the Footscray Church of Christ.